May 29, 2012. 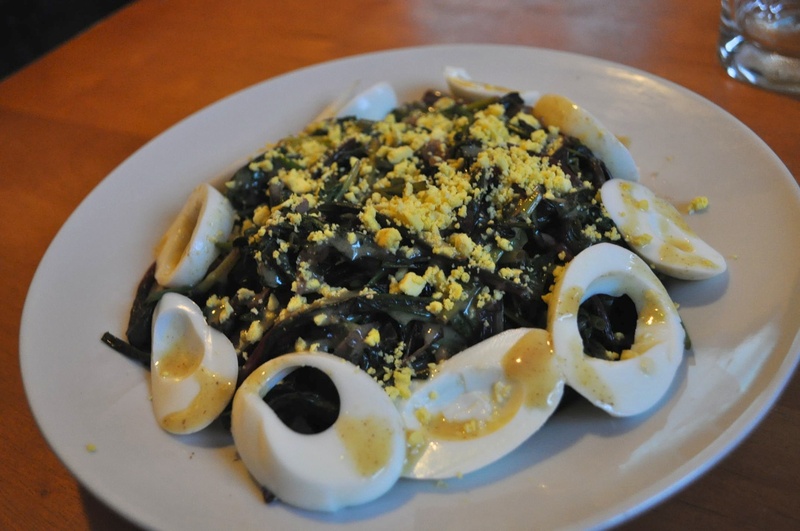 Sauteed Greens with Capelin and egg. My brain turned off when I put this together: egg and greens? too much capelin. It was inedible.